Magento empowers you to run and operate your business and generate sales revenues; Magento developers help you create the right online shop. Magento is an open source online business platform that it provides business owners features for their online shop such as marketing tools, analytics and reporting, site management, check-out, SEO, customer services, catalog and order management, payment methods, and many more. Magento ensures business owners with full stability and management on the appearance of their online shop, its content, and features and functions. Magento is designed with advanced and secured platform that is fast and simple to set up and manage their online shop. If Magento has features that allow you to build and customise your online store, why should you need a reliable and competent Magento web developers from a reputable web development company? They are experts who can provide you with technical and professional advices regarding your Magento web design, features, and functionality that can build customer satisfaction and positive buying experience. They are experienced in building and handling Magento websites, thus, they can help you understand your requirements and build your online store according to how you envision it. They work as professional team and provide you with good number of resources once they have evaluated the requirements of your online store; help you establish timelines and stages with the right methodology for best desired results. They offer long-term technical support even after your online store has been launched and running already. So you are considering hiring the services of Magento Web Development company, what are the best features of Magento developer? Compare work experience and their track record. 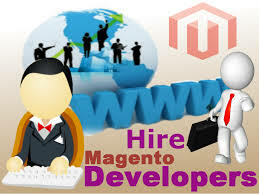 The Magento Web Development Company should have good record in building, managing, and sustaining Magento websites. It is ideal if you can find a Magento web development company who has experience in working with clients who have the same business like yours. This will somehow give them a concept of what you want. Check on their completed projects because this is crucial in making you are choosing the right Magento web development company. Review company portfolio and testimonials from their previous clients. This will give an idea on how they work on their projects and the testimonials will be your references to make sure they are really good in their craft. Check if they have worked on SEO and mobile websites. Normally, those web developer companies who claim that they are competent, have a team of good SEO experts. Make sure that your Magento website is SEO-friendly because this is crucial after launching your online store. Mobile website development is also important tool in reaching more customers. The use of responsive design allows you to attract more people to your online store through any devices. Know their pricing and flexibility capability. There should be clear and open discussion regarding the company’s pricing system. Check also their willingness and capability if there are changes needed to perform with the final draft of the project. Flexibility indicates how reliable and secure a company is, or any company. Determine if they provide after-sales services and ownership, which means they can give post-project services if there some issues. Ensure also that you have the ownership of the content and the code by making sure that these provisions are written in the contract. Ownership of the social media accounts that have been set up for this purpose must also be clear and written in the contract. To become successful in any endeavor, including business ventures, one must start things right. There may be hundreds of Magento tutorial sessions offered online, but it does not guarantee that you will be technically skillful after finishing the tutorial modules on setting up Magento stores. Hiring experienced and reliable Magento Web Development Company to plan, design and launched your online store with you. Then, you can do more important things of your business. Always remember that a well-designed online store builds good and lasting impression on your visitors and potential customers. Magentiv Magento Developers compose of team of efficient experts and professional in the field of web development which commits to high quality Magento services for local businesses in Australia. With this commitment, we will be working together to make your business grow and successful. Contact them by sending an email or call 1300 055 867 for free consultation.